Boy, time flies! Here I am at blog post number 101. What started as my own quiet little corner of the internet has become something far greater than I imagined. I had no idea so many folks would appreciate my ramblings and spend their valuable time reading reviews about a single (often misunderstood) whiskey brand. I’m amazed and humbled. Thank you all. Today also marks another first for me. Within the next few hours I’ll be talking with the guys at Bourbon Pursuit. Until now, I’ve yet to experience a live podcast interview. I’ll be completely honest, I’m a touch nervous. I’ve never considered myself a whiskey or Wild Turkey expert – just an honest fan. Hopefully I’ll be an entertaining guest, or at the least maybe bring a listener into the Turkey flock (or is it a rafter?). Wish me luck! Anyhow, on to the subject of today’s post. I’ve been contemplating what my 101st post/review might be for several months now. I knew I wanted it to be a special pour. I also knew I wanted it to be a 101-proof expression, I just wasn’t sure which release. Thanks to an amazingly generous gift from one of the coolest dusty bourbon hunters around, IG’s @whiskeygrab, I have an early 1970’s Wild Turkey 101 8-year mini bottle to enjoy. I’ve said this many times before, and I’ll say it once more, sharing is hands-down the best thing about this hobby. In preparation for this review, I first spent some time trying to identify the year this Wild Turkey 101/8 bottle was released. Based on the label, which states Lawrenceburg, KY instead of New York, NY, the earliest it could be is 1972 (the year Austin, Nichols & Co. purchased the Boulevard Distillery). The label also reads 1/10 pint instead of metric volume, a practice that ceased for all domestic spirits in 1980. The tax strip references the IRS instead of the ATF, which means the bottle was prepared for sale prior to 1977. As for the glass stamp on the underside of the bottle, the strike is unfortunately weak. There’s a 7 followed by a symbol and either a 3 or 5. Based on my conversations with experienced collectors, all these identifiers line up best with bottles from 1972-1974, so I’ll settle on “about 1973” for purposes of this review. Regardless of the exact date, sipping 1970’s Wild Turkey 101/8 is pretty damn cool. I’ve only had this opportunity a handful of times – each and every one enjoyable. That said, there’s always a quality concern when it comes to older bottles. There’s just so many environmental and storage factors to consider with a bottle filled nearly 45 years ago. Luckily, I’ve seen similar fill levels on bottles released decades later, so fingers-crossed this 101/8 has kept well. At this point there’s only one way to find out and I’ve waited long enough. Time to break this crusty old tax strip and have a pour! When it comes to Wild Turkey from the 1970’s and earlier, there’s always a chance of sourced whiskey (distillate from outside of Boulevard/Wild Turkey) in a batch. I’ve discussed this on more than one ocassion so I’ll spare the details this time around. But in the case of this 1973 WT 101 8-year … I’m getting nothing but 100% dusty, Jimmy Russell distilled and aged, Wild Turkey KSBW at its finest. Right from first breath the vanilla, oak, and maple hit with a shared natural richness found only in old, dusty bourbon. You know it when you smell it, and you won’t find it in bottles sitting on shelves at your local. You might catch glimpses of it on occasion (Woodland Wine #16-490 comes to mind), but in general it’s extraordinarily rare for modern-day whiskey. The signature dusty Wild Turkey herbal/floral perfume notes follow closely behind the rich earthiness, then trail seamlessly into fragrant tobacco and flawless spice. Needless to say, it’s an incredible experience – arguably one of the best noses one could possibly find in a Wild Turkey expression. Right before this bourbon hits the palate you’re expecting a potential letdown. After all, many whiskeys often step down in complexity from nose to palate – not this ‘73 Wild Turkey 101/8. The first thing that strikes you is its mouthfeel. It’s oily, creamy, and thick – almost syrup-like. The earthy vanilla found on the nose becomes more of an old-timey caramel chew – like something you’d find in a burlap sack at a Cracker Barrel Country Store. The oak is funky, the spice is lively, and the tobacco and leather hail from an era long past. Damn, this is fantastic bourbon! What’s that? How’s the finish? Oh, it does its thing like Sally Walker walking down the street in Lawrenceburg – long, strong, and rich with unmistakable pride! I appreciate a long finish. Hell, I appreciate a medium finish. In fact, I’d argue that many Russell’s Reserve Single Barrel releases are more medium in finish duration. But this ‘73 Wild Turkey 101/8 has notes that stay with you long after it’s gone. Virtually everything you enjoy about the taste is carried over (and shines throughout) the finish. It brings excellent closure to an excellent pour and I don’t think I could state it any better than that. In closing, I want to again offer a sincere thank you. Thanks to all for reading, commenting, and following. Thanks to @whiskeygrab for the unbelievable pour. And last, but certainly not least, thanks to Jimmy Russell for producing what I believe is the best bourbon whiskey ever distilled in the beautiful state of Kentucky … Wild Turkey. In a time of hoopla and hype, when folks are paying triple digits for gimmicks and whiskeys from undisclosed origins, it floors one to realize that bourbons like this 1973 Wild Turkey 101 8-year were at one time common everyday bottles. Wild Turkey is and always has been the everyman’s reliable KSBW. Even now without its eight-year age statement, Wild Turkey 101 delivers on this promise: Bold. Genuine. True. It’s quality whiskey at a workingman’s price. It’s Jimmy’s gift to the world. Cheers to you, Mr. Russell! Congrats on 101! I love the blog, and I have to admit it has helped stoke my own obsession with all things Wild Turkey. Thanks, Scott. I always appreciate your feedback and support. Cheers! Just found and LOVE this blog! 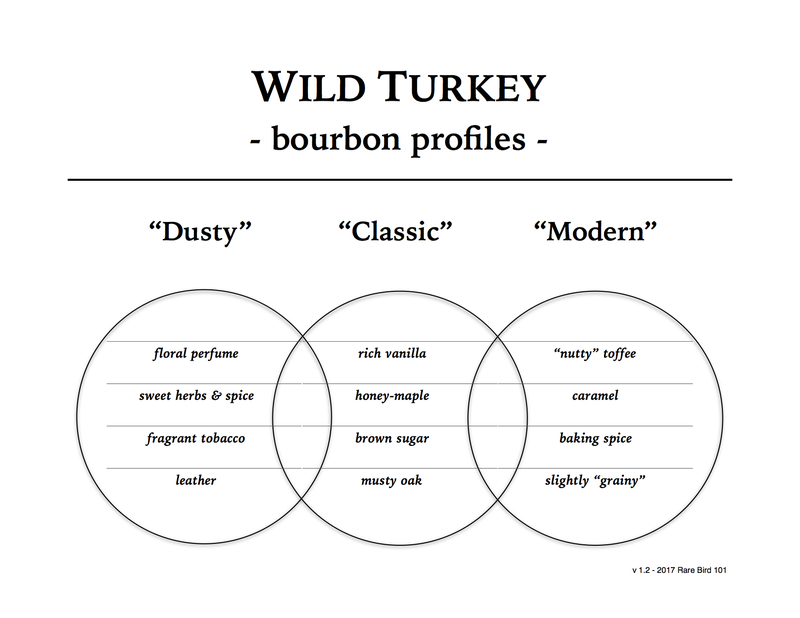 I love Wild Turkey in all its incarnations so this blog is a joy to read. Wild Turkey is , in my opinion, always a great product and always a fair price. I’m sure I’ll be reading every entry in this blog. Thank you so much, Jon. I truly appreciate your support!